Are you going to the Balkans for the holidays? Discover the best places to stay in Zagreb, the croatian capital! Often wrongly neglected by the majority of travelers in favor of the Adriatic coast – Dubrovnik, Split, Zadar and the 698 islands of the Croatian coast -, Zagreb nevertheless has much to offer its visitors. The Croatian capital had 688,163 inhabitants in the 2011 census, with 1,107,623 people living in the entire urban area. If you’re planning to stay in Zagreb, be aware that accommodation can be expensive, as the city has long encouraged the development of luxury tourism coupled with high-end hotel infrastructure. Located in the north of Croatia on the slopes of the Medvednica mountain and along the banks of the Sava river, Zagreb, like Budapest, serves as a junction between Eastern Europe and Western Europe. Each neighborhood exudes its own soul and atmosphere. Here’s what you need to know to find a place to stay in Zagreb. Located on the hill of Gornji Grad, this historic district houses the “upper town” of Zagreb, actually made up of two districts: Gradec and Kaptol. Filled with café-terraces, the area features great examples of typical local architecture. Notably the Saint-Stéphane cathedral, one of the city’s oldest buildings dating from the 11th century, and the Saint-Marc church with its polychrome tiled roof from the 13th century. 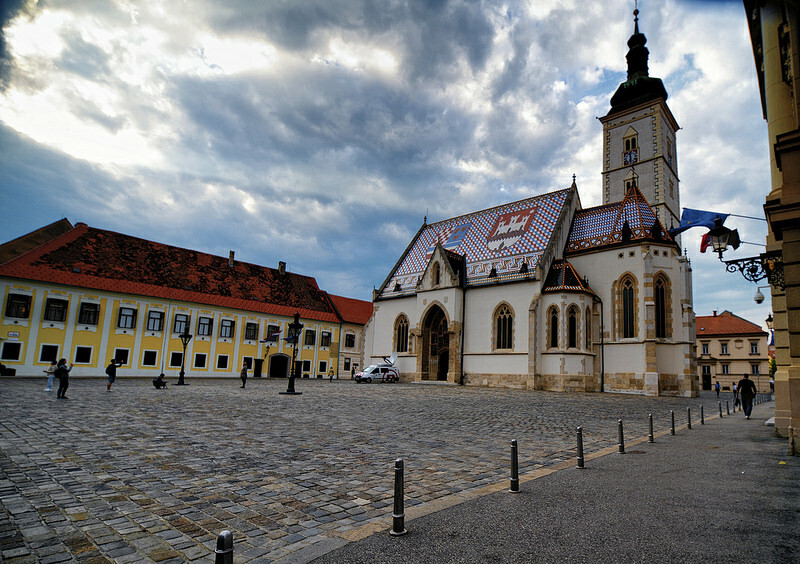 Gornji Grad exemplifies the style that prevailed during the time of the Austrian-Hungarian Empire, offering a fascinating blend of tradition and modernity that lends it a romantic atmosphere. 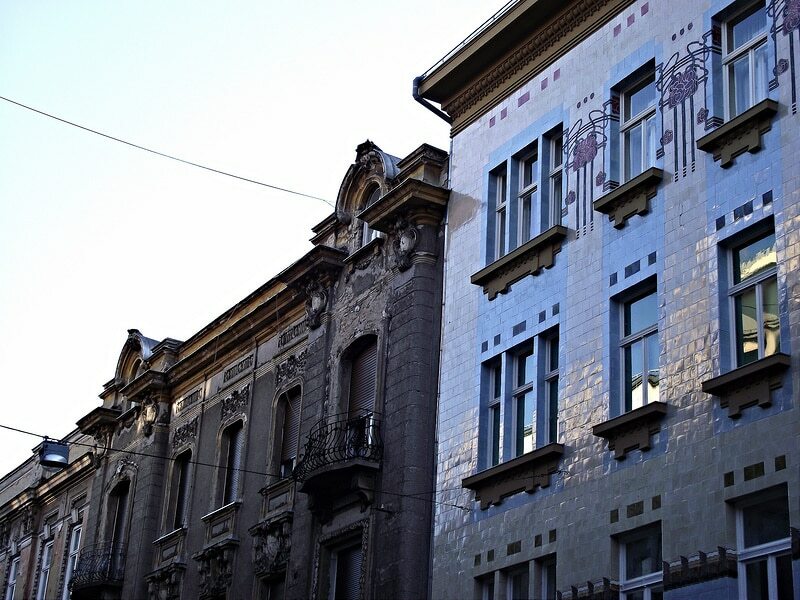 Towards Tkalčićeva street, you will find many trendy bars and colorful ochre and pastel-hued houses. Don’t miss Ban Jelačić Square, Zagreb’s central square and the common meeting place for all city dwellers. Close by, approximately fifty meters away, the small local producers come to sell their fruits and vegetables every morning, at the traditional market of Dolac: a must-see. Gornji Grad is a good place to stay in Zagreb: a great location to enjoy peaceful and cultural visits along the cobbled streets of the city center. You can reach the lower town by funicular to enjoy a splendid view of the city. However, you can also easily walk through the city. The lower city is the equivalent of the new city, the one that has embraced modernity. This is where Zagrebians like to go out day and night. The area is home to an array of majestic buildings, including theatres, mansions, palaces and squares built in Austro-Hungarian, neoclassical or modern styles. If you like music and art, this is a good place to stay in Zagreb: you will probably find a nice concert to spice up your summer evening. Restaurants, bars, pubs, jazz venues, lounge clubs contribute to the area’s lively and festive atmosphere, particularly in the evening. During the day, don’t miss a stroll in Zeinjevac park. A few kilometers from the city center, you can relax and swim at Lake Jarun, where you can attend a number of music festivals in the summer (look for information in advance).